Fast food giant offers discount to customers in the vicinity of rival restaurants, gets 2 million app downloads. From Contagious I/O. Burger King has trolled McDonald’s again and boosted downloads of its app in the process. The fast food chain is selling its Whopper hamburgers for $0.01, but only to customers within a 600-foot radius of a McDonald’s. To access the deal, people need to download the Burger King app and journey to their closest McDonald’s. When they’re close enough they can order a one-cent Whopper through the app, which will then direct them to the nearest Burger King for pick up. 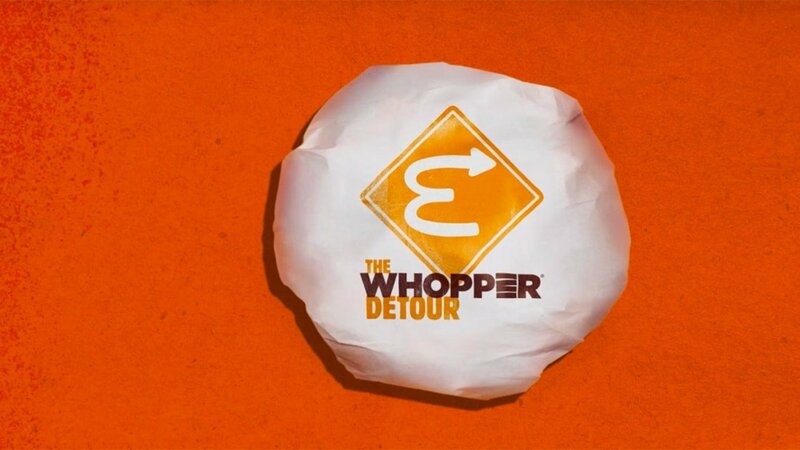 To make the Whopper Detour campaign work, Burger King geofenced more than 14,000 McDonald’s locations across the US. That’s how the app knows when users are close to one of its rival’s restaurants. Burger King has also created an instructional video explaining how to redeem the offer, which clears up the process. At the end, in the very-small print, it even states: ‘There’s no need to use McDonald’s drive thru window’. Results / According to Burger King CMO Fernando Machado, who spoke at our Most Contagious event on 6 December, the goal of the campaign was to drive both app downloads and footfall – and it did both. The app reached number one in the App Store’s Food and Drink category within a few hours of the campaign’s launch (see graph below). The app was downloaded more than 2 million times in 48 hours and 150,000 one-cent Whoppers have been redeemed. The campaign has also resulted in one of the highest levels of footfall in Burger King restaurant history. PR booster / The fast food brand has, once again, found a way to get itself into the public eye, and this time the story is centred on its app (the thing it wants people to download). Some of the PR success of this campaign can probably be attributed to Burger King’s recent history of stunts, which have helped establish a reputation as a brand worth paying attention to. But this is still a strong PR story, rooted in Burger King’s positioning as a cheeky challenger to McDonald’s. As Machado told us, the goal behind the campaign was to do more than just get people talking. Burger King wanted to up app downloads and it’s already succeeded. 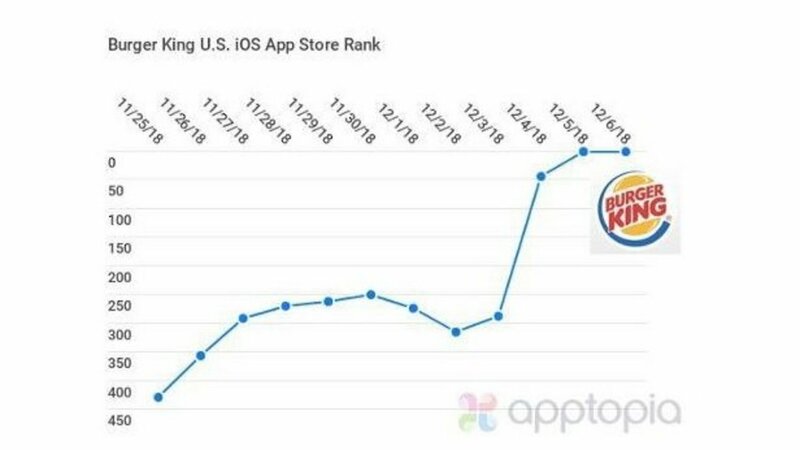 So far, while 150,000 people have gone to get the Whopper – a respectable number by anyone’s standards, and four times higher than regular Whopper discount offers, according to Machado – the number of app downloads is more than 13 times that (2 million). The second goal was to drive footfall in store and while the Whopper burger is almost free, the fries and soft drink won’t be, so the people who do make it in-store are likely to spend extra with the brand. 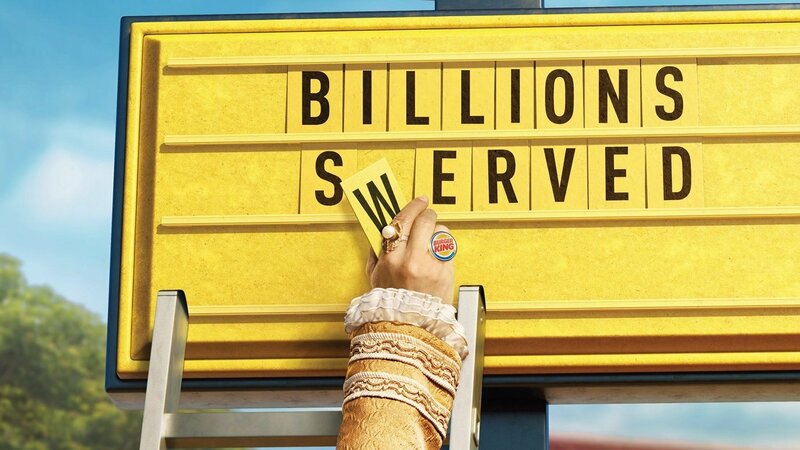 Delivery system / As well as giving people a reason to download the Burger King app, this campaign also asks them to rehearse the action of ordering a Whopper in the Burger King app and picking it up in store. This will familiarise them with the behaviour and, because the Whopper is $0.01 rather than free, force them to sign up and add their credit card details to the app – making a full-price repeat performance at a later date easier. Competition is fierce in the fast food industry, and not just from the expected rivals. As White Castle VP Jamie Richardson told us: ‘Other fast-food hamburger chains are certainly key competitors, but increasingly, any option for breakfast, lunch, dinner or even a snack could be a competitor. That’s the beautiful thing about the food business right now, it’s different from how it’s ever been because in a dynamic economy everyone has lots of choice and that’s a good thing. It means people need to work hard to keep up.’ So anything that could make picking Burger King over alternatives more efficient and easy could give it the edge. The app could also increase sales. In the US, delivery doesn’t account for much of Burger King’s business, but the Burger King app allows them to order online and pick up in-store. Deloitte Digital’s Restaurant of the Future research found 40% of Americans prefer to order food online. It also found that when customers order from quick service restaurants online they spend 26% more than they would in-store. So, not only will the app make Burger King a more convenient choice, it will also potentially earn the brand more profit.